Why Choose Us For Your Cosmetic Dentistry? When it comes to your mouth, you want the most trained, experienced and qualified specialist around to give you treatment. Whether you need an extraction, a porcelain veneer, Invisalign or a full mouth reconstruction, it is important to never compromise your quality of care. When looking for the best dentist in Oxnard CA, know that at the Anacapa Dental Art Institute we aim to provide you with the most highly personalized care. At the Anacapa Dental Art Institute, that is exactly what you are receiving: uncompromising care. You will be in the capable hands of Dr. Saj Jivraj—a world-renowned prosthodontist—and his expert team of dental care professionals. A prosthodontist is a dentist who has received three years of further training after dental school at an American Dental Association-accredited institution. They are specialized in procedures that involve dental prostheses to replace missing teeth or jaw structures. A prosthodontist is an expert in cosmetics, dental implants, crowns, bridges, dentures, and temporomandibular joint disorders. When a difficult case comes to your neighborhood dentist, they usually will refer the patient to a specialist: a prosthodontist who has the expertise to get the patient back on track to a healthy, beautiful smile. Dr. Jivraj is such a specialist, daily delivering results that solidify his reputation for being an expert in the field of cosmetic dentistry. 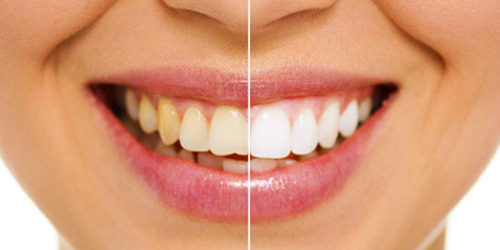 A prosthodontist is an expert of dental reconstructive surgeries. 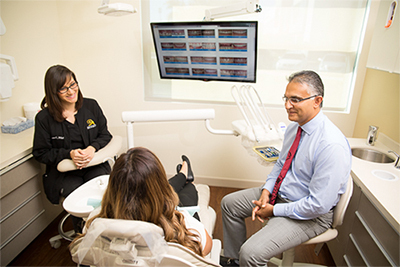 The additional three years of training that Dr. Jivraj fulfilled after receiving his DDS gave him the expertise to correctly execute complicated dental procedures that your average dentist may not know how to do. There is a beautiful and healthy smile within all of us, whether you have an imperfection or not. Dr. Jivraj’s expert hand and knowledgeable staff are here to unlock the beauty within, to execute it correctly the first time and to make it last. When it comes to your mouth, it may be wise to put your trust in a man who dedicatedly extended his education above and beyond the normal demands of a DDS, who was voted “Best in USA” by a panel of peers in 2008 and who stays on the cutting edge by being an Assistant Professor at USC as well as other prestigious faculty positions. Less than 2% of practicing dentists are prosthodontists. What that means is that Dr. Jivraj is quite literally among the most trained and specialized dentist Ventura has available, and definitely the correct one for your dental needs. So, whatever your dental needs may be, from a routine cleaning to full mouth reconstruction, Anacapa Dental Art Institute is ready for your call. The benefits of prosthodontics care starts with the initial consultation. With Dr. Jivraj, the first step is a full and accurate diagnosis. In the field of dentistry and mouth reconstruction, a misdiagnosis can lead to unnecessary procedures that do more harm than they benefit. The last thing you want in the field of dental reconstructive surgeries is a procedure done incorrectly, or an unnecessary procedure to begin with. With his extra years of training and his two decades of experience, Dr. Jivraj is the specialist that you deserve. With your ailment properly diagnosed, Dr. Jivraj will then go over what treatment options would be best to conquer it. After choosing what option best suits you, Dr. Jivraj and his expert team in Oxnard, Ventura County will give you the gold-standard of care.